As a tour guide, one question I’m often asked is, “how good is the food here?” I always reply that the food is pretty good, which is either met by a speculative glance or a sigh of relief. Although I have had a meal plan for all four years at W&M, I decided to prepare myself for post-grad life by going off the meal-plan. 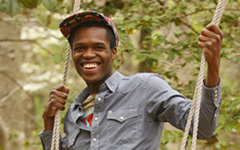 No longer will I browse the dining halls; instead, I will be sifting through the grocery store aisles. Unfortunately, I haven’t had too much experience making my own food. When I’m at home my mom prepares most of my meals, even though I’m a senior in college, and until now I have had W&M’s chefs cooking for me. Therefore, I will share with you my experiences “off-the-meal-plan,” and show you how well W&M has really prepared me for the real world. There’s a restaurant near W&M named Bonefish Grill, and it has delicious seafood. However, my favorite item on the menu is the “Bang-Bang Shrimp.” Imagine savory shrimp deep-fried and coated in a spicy sauce. 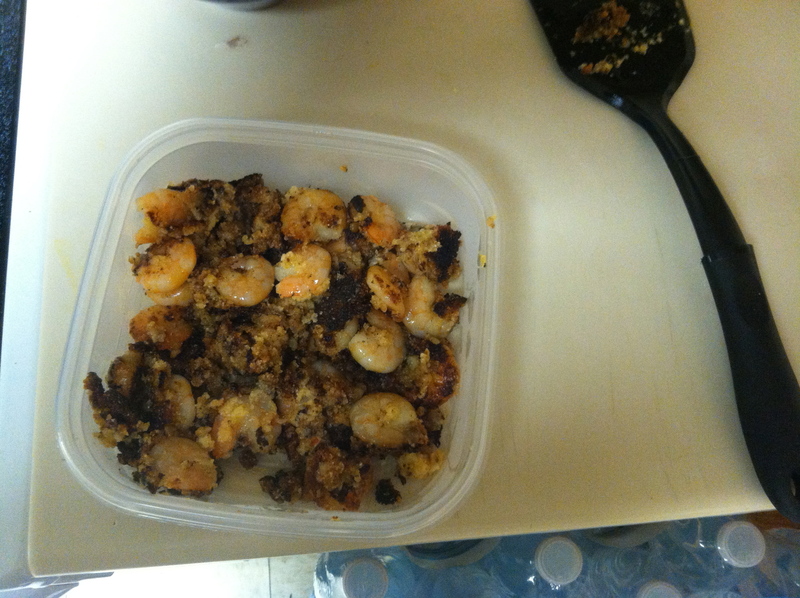 I got the idea to make “Bang-Bang Shrimp” on my own, so I found a recipe online and went to work. I put in pictures along with the directions, so you can see what a dorm kitchen looks like and see my process. 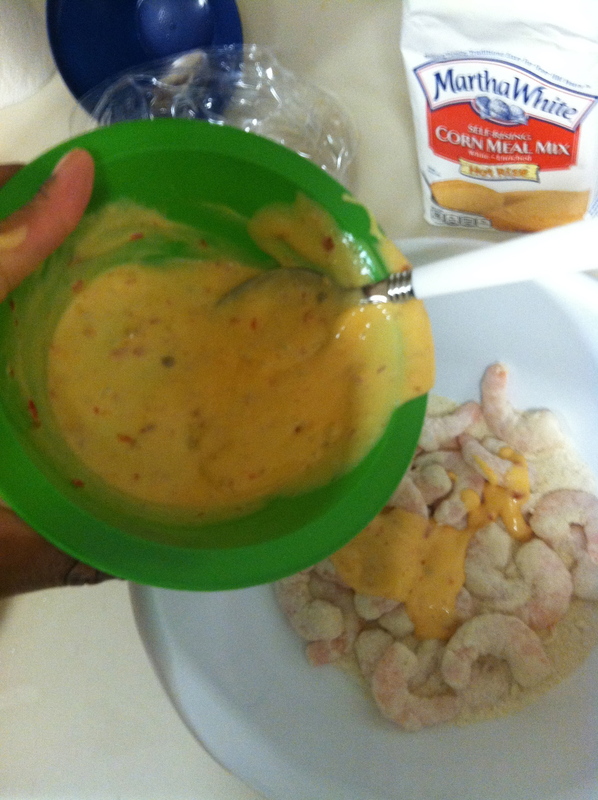 The recipe said to drain the fried shrimp on a paper towel, and put them in a bowl and coat with the sauce. If you look at my first picture you’ll see that I mixed the sauce in with the breading before I fried it…whoops! It doesn’t look as appetizing but it still tasted pretty good… I know the picture doesn’t do my cooking justice, but it was my first recipe. Next week I’ll be making Pad Thai Chicken, we’ll see if that turns out better. Bang bang shrimp is amazing ! 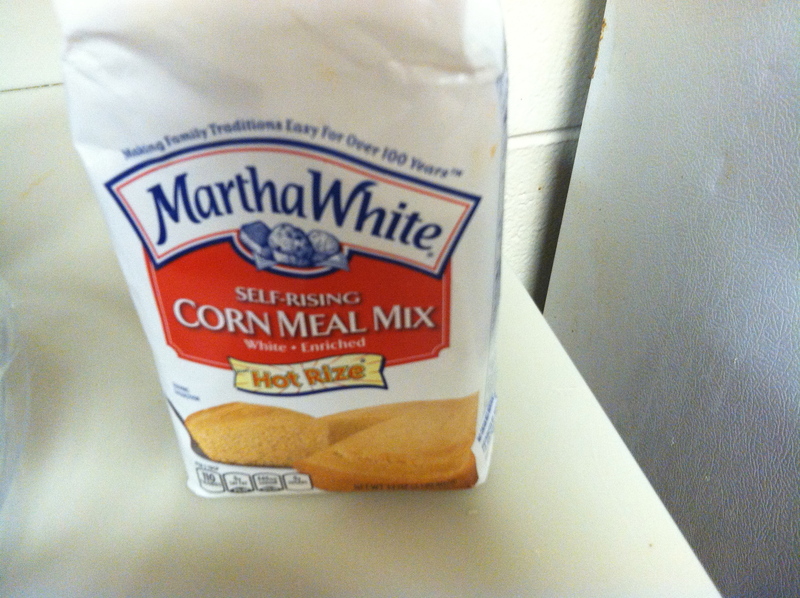 The corn meal is the problem. Cornstarch is the solution…it’s the puff and the crunch to the shrimp. You’ll find it in the baking aisle. Look near the baking soda, baking powder, etc. It’s a necessary ingredient for baking so it’ll be there. Give it another try – soooo worth it! 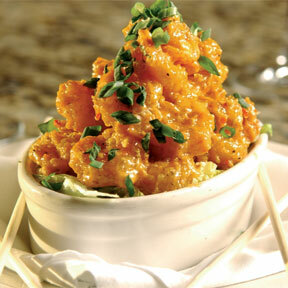 My daughter is an applicant and if admitted, we’ll celebrate with Bang Bang Shrimp! 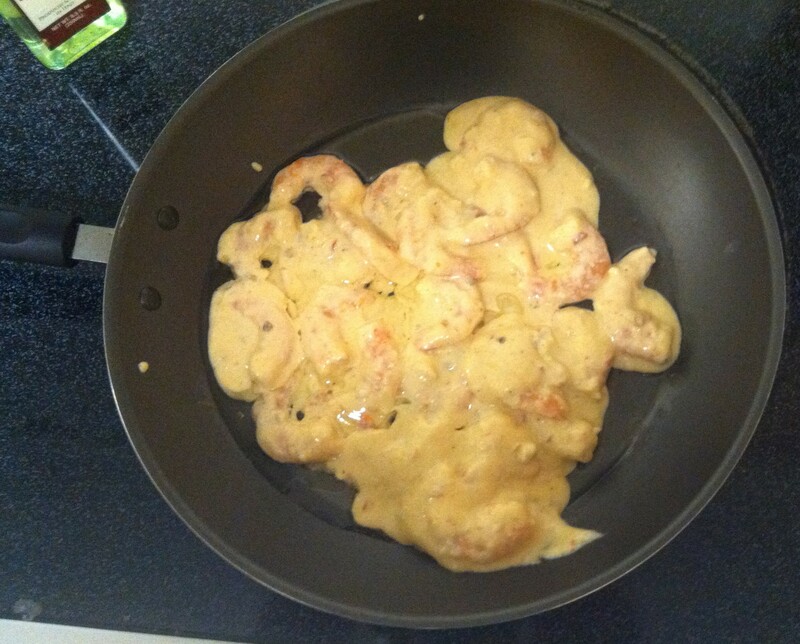 One more tip…fry the shrimp in small batches so they have room in pan to be tossed around. Good luck! Yum Yum Shrimp!